Lebanese cuisine has a long and colourful history. Fresh and delicious, using vibrant ingredients and age-old techniques, it is diverse, with a range of iconic sweet and savoury dishes that every food lover should try. Here at Manoosh we bring the Middle East to the Inner West, offering a traditional Lebanese experience unlike any other. If you haven’t eaten Lebanese food yet, you are missing out. Here are 6 dishes from our menu that you absolutely have to try. Lebanese food is absolutely delicious, and if you haven’t tried it yet, you are missing out. Here are 6 traditional Lebanese dishes from our menu that you need to try. Sambousik is a small pastry filled with either meat and/or cheese. In Lebanon, lamb is a traditional choice, and cheeses can range from haloumi to feta. Onions, herbs and spices add more flavour while pine nuts impart a deliciously nutty texture and taste. These popular pastries can be either baked or fried and you’ll often find them on a classic Lebanese mezze spread. Sujuk is spiced Lebanese sausage that is somewhat similar to salami, with its three main characteristics being that it is salty, dry and has a high fat content. It is traditionally made using ground beef (though mutton and pork are also used) combined with spices such as garlic, salt, cumin, sumac and red pepper before being piped into a sausage casing. Our folded sujuk pizza is packed with cheese, sujuk, olives, capsicum and tomato. Yum. Shawarma is the Lebanese variant of a Turkish kebab or Greek gyros. It is made from marinated meat that has been slow roasted on a vertical spit for many hours. Once cooked, the meat is carved off in thin, wide strips and stuffed inside a flatbread along with a variety of vegetables, such as lettuce, cucumber, tomatoes, onion, pickles and parsley. Condiments can range from garlic yoghurt to hummus to chilli. Our shawarma is filled with juicy beef fillets, lettuce, tomato, onion, pickles & parsley topped with our garlic yoghurt sauce. Lahembajin is made from flat bread topped with a mixture of ground meat, vegetables and herbs and baked in a wood fired oven. The meat is commonly lamb or beef, the vegetables are usually onion, capsicum and tomato, and herbs can include parsley, mint and coriander. Just add a squirt of lemon, fold it up, and you have one mouth watering snack. Kebbeh is another Lebanese classic you will usually find as a part of a mezze spread. It is made from finely ground meat, onion, herbs and spices, combined with burghul (cracked wheat) and rolled into balls then deep fried to golden perfection. There are even vegetarian versions of kebbeh made with hearty vegetables that hold their shape, such as potato or pumpkin, replacing the meat. Served with fresh hommus or a yoghurt sauce with garlic and mint, they are a delicious snack. Manoosh have some of the best za’atar bread in Sydney! This traditional dish, known as man’oushe or Lebanese pizza, is simple but delicious, featuring baked flatbread topped with olive oil and zaa’tar – a tangy mixture of herbs and spices, namely ground thyme, sesame seeds and sumac. If you’re on the hunt for authentic Lebanese dishes in Sydney then look no further than Manoosh. Stop by Manoosh or order online – we guarantee you will be glad that you did. 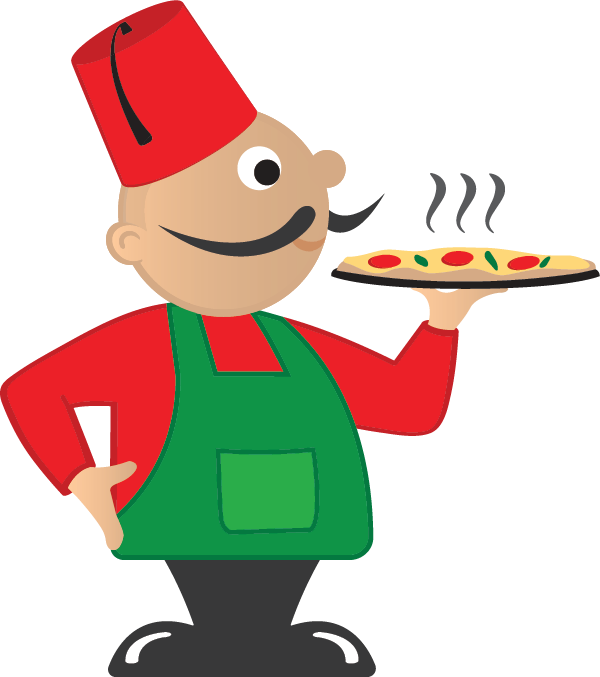 Or if you’re after top quality mobile pizza catering, give us a call.